Geothermal heat pump systems take advantage of the constant temperature of soil below the frost line to provide both heating and cooling. Halco's renewable energy division has significant experience in designing, installing, and servicing clean, reliable, renewable energy systems for commercial clients. 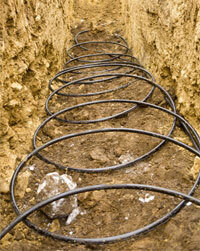 We specialize in solar electric, wind electric, solar heating, and geothermal heating systems. With advances in technology and lower component costs, these systems are reliable, responsible, and more affordable than ever. Our experts can help you with all of the critical details of installing a system, including source requirements, sizing, site selection, orientation, and equipment selection. With solar electric systems, we can advise you about whether to install a grid-tied or off-grid system. We can measure your wind resource and advise you about whether a turbine would be a worthwhile investment. If a geothermal heat pump is your preference, we can help you choose the most appropriate loop system and explain the pluses and minuses of water-based versus direct-exchange systems. If there are other energy improvements you should make before installing solar, wind, or geothermal, we’ll recommend those, as well. Halco believes that the first dollar you spend on an energy upgrade should be on conservation – not necessarily expensive equipment! Our renewable energy and commercial services are available in Rochester, Ithaca, Syracuse, Webster, Auburn, Fairport, Pittsford, Cortland, Canandaigua and all throughout The Finger Lakes. Contact us to learn more about how you can benefit from our renewable energy solutions, including solar electric, wind electric, solar heating and geothermal heating, as well as our other energy-saving upgrades designed for commercial buildings. Solar electric arrays can be sized to provide any fraction of your business’ power needs, from 30 to 110 percent. 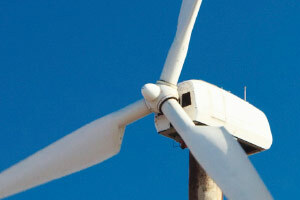 Halco uses wind power systems that have proven track records – primarily horizontal axis turbines. With our track record installing renewable energy systems, we can give you a clear, no-nonsense idea of what return on investment you can expect. In addition to our experience with each of these systems, Halco won’t leave you to your own devices once the installation is complete. We set up monitoring for our installations to be sure they’re working at peak efficiency. If there is a problem, we service the systems we install – a benefit that cannot be overstated in the world of commercial renewable energy contractors! The fact that we can handle every aspect of our installations sets us apart from our competitors. With our extensive knowledge and significant experience designing and building these systems in New York, we are excited to meet your needs and make your business more efficient, comfortable, and sustainable. Contact us today for a Free Estimate or schedule an energy assessment in NY to determine where your energy problems are and where improvements can be made to improve the energy efficiency and comfort of your building! 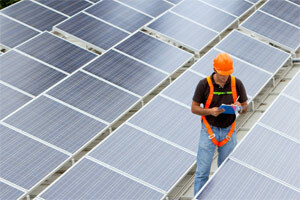 We will evaluate your commercial building for the perfect renewable energy system. We proudly service Rochester, Ithaca, Syracuse, Penfield, Geneva, Brockport, Hilton, Spencerport, and more.